Tesco is promoting healthy eating among kids and has hooked up with Magic Breakfast, a charity that gives free food to more than 8,500 primary school children every day. The supermarket has agreed to donate 40,000 boxes of its own-brand cereal to Magic Breakfast, which supplies around 250 primary schools across the UK. The partnership will include in-store activity. Boxes of cereal will carry information about the charity and tell shoppers how they can donate. 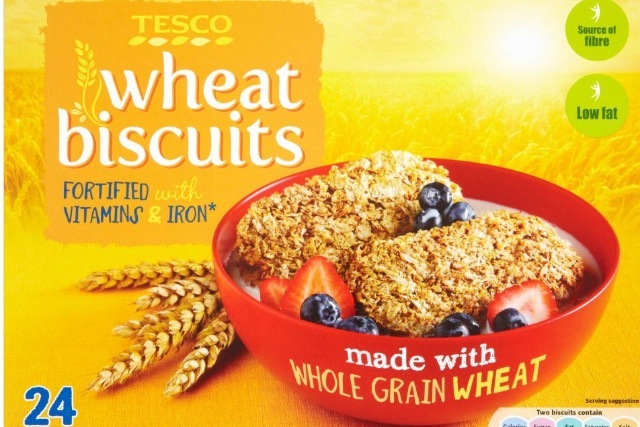 Four types of own-brand cereal are involved – Cornflakes, Rice Snaps, Wheat Biscuits and Malt Wheats. Magic Breakfast claims that 32% of children in the UK regularly miss breakfast, often to the detriment of their health and performance at school. In addition to supplying children with breakfast, the charity also encourages children to eat a healthier diet, one that is lower in sugar, saturated fats and salt. Magic Breakfast targets children in deprived areas, where over 35% of children are eligible for free school meals. Meanwhile, health is becoming an increasingly significant part of Tesco’s marketing. Last week, Tesco Labs - its innovation arm - staged a 48-hour hackathon aimed at devising new ways of encouraging shoppers to make healthier choices. Greg Sage, Tesco’s community director, said: "Magic Breakfast also does fantastic work to promote a healthy diet to children, something we’re committed to at Tesco. "We’re removing sweets and chocolates from checkouts at all our stores, and through The Tesco Eat Happy Project we are helping children to have a happier and healthier relationship with food. "We’re going to work together with Magic Breakfast to make a real and positive difference to children’s lives." Carmel McConnell, Magic Breakfast’s chief executive, said: "Magic Breakfast was set up out of love and concern for children and a belief in their potential, given the right start. A hungry child cannot concentrate. "This new Tesco donation of cereals will save the charity thousands of pounds this year, money we can use to extend to new schools that need help to reach hungry school children. "It seems wrong to us for any child to miss out on the most important lessons of the school day simply through lack of a good breakfast."